Tim Fleming, KBB analyst: "Some auctions are still holding off on selling the affected Volkswagen inventory." WASHINGTON -- Prices for used Volkswagen diesels have accelerated their decline as the automaker's emissions scandal entered its second month with no definitive word from VW on its repair plans. Moreover, the actual volume of used VW diesels sold at auction has plummeted, making it tough for analysts to get a clear sense of just how severely the scandal will hit the value of the affected cars. Analysts say the value of used VW diesels will continue to be volatile until it's known how VW will fix the cars and what the effects of those fixes will be on fuel economy and vehicle performance. Time is of the essence, they say, because the scandal is also beginning to have spillover effects on used prices of VW's gasoline models. Compared with levels before Sept. 18, when the EPA announced VW's violations, wholesale prices on Jetta TDIs were off 7.9 percent as of Oct. 12 and down 13.8 percent as of Oct. 19, according to data from Black Book, which tracks used-car prices at auctions. Passat TDI price declines accelerated from 7.9 percent to 13.5 percent in the same period, while Golf TDI price declines went from 5 percent to 8.7 percent. Kelley Blue Book is finding a similar trend, with average auction price declines widening from down 13 percent two weeks after the scandal broke to down nearly 16 percent through Oct. 16. 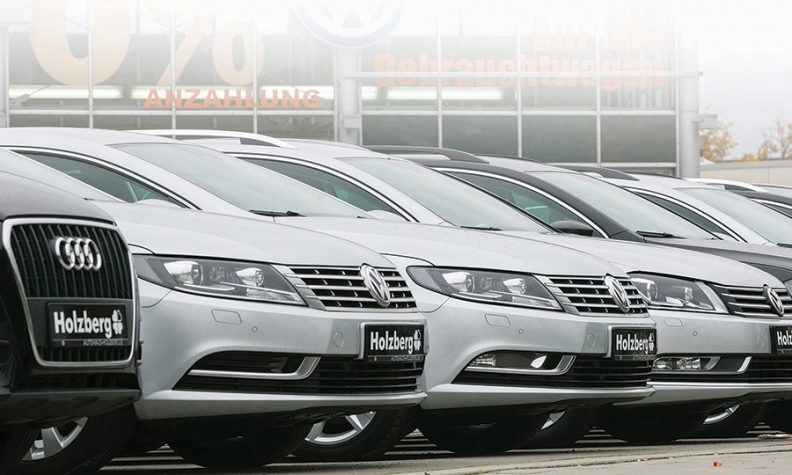 Average auction prices for gasoline-powered VW models declined by 2.9 percent in the same period. "Some auctions are still holding off on selling the affected Volkswagen inventory," KBB analyst Tim Fleming said in a statement last week. "While Volkswagen diesel auction prices are in decline, we could see larger fluctuations depending on how this inventory is handled." Fleming said auction volume of affected VW diesels declined about 25 percent in the last month. Auction houses are holding many used VW diesels controlled by VW Credit in storage, he said. Used diesels that are being offered for sale are coming from independent owners, he said, and those units are seeing little or no bidding activity. The National Automobile Dealers Association, in its October report on the used-car market, said that auction volumes of diesel-powered Jetta, Golf and Beetle models were down 28 percent, while Passat diesel sales were down 33 percent in the two-week period ending Oct. 3, compared with the four-week average prior to the EPA's announcement. Likewise, Black Book's values are based on scant auction activity, says Anil Goyal, vice president of automotive valuation and analytics with Black Book. Just one or two VW diesels from a given model year have passed through auctions each week on average since Sept. 18, down from roughly 10 to 12 a week prior to the disclosure. "It's difficult to track those trends because there's not a lot of information around it," Goyal said. Matthew Welch, general manager of Auburn Volkswagen near Seattle, says he's able to absorb the lower values for now since used-vehicle values always fluctuate week to week. 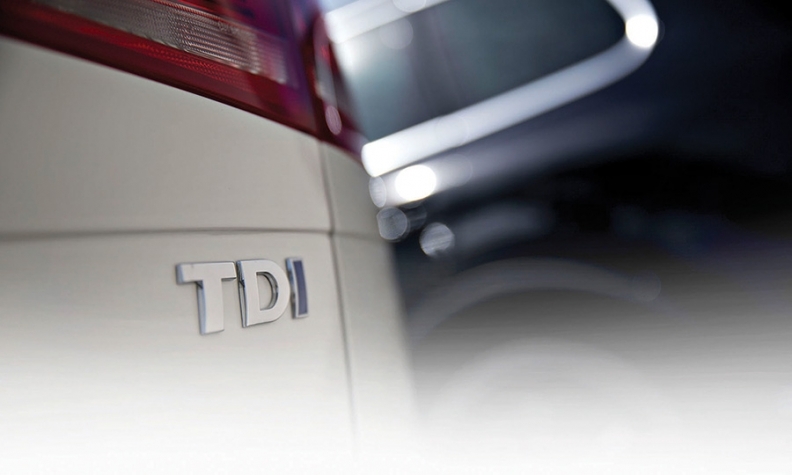 Unlike some dealers, Welch is accepting trade-ins of diesel VWs affected by the scandal. He says he has used some of the discretionary funds provided this month by Volkswagen of America to pad trade-in allowances on the TDIs. "So far we've made the decision to keep taking cars on trade, and we give them the value closer to what it was a month ago," Welch said.